THIS KIND OF HOPE - a film company. Belarus and Me tells the story of diplomat Andrei Sannikov, who was in charge of the disarmament negotiations about the massive atomic weapons arsenal of Belarus after the downfall of the Soviet Union, who quit his job under president Lukachenko and and entered the dangerous path of political opposition. After the uncanny death of his closest political comrade he decided to run for president against Lukachenko, but the election was forged and Andrei Sannikov was arrested, tortured and put into solitary confinement. 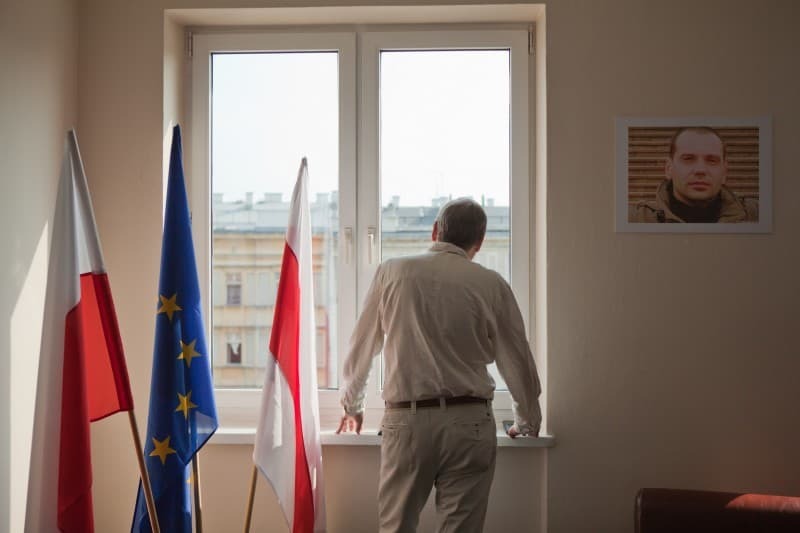 Today he lives in forced exile in Warszaw and keeps on fighting for his dream: a free and democratic Belarus. The film combines documentary and archive material with animated sequences and creates the personal portrait of a courageous man relentlessly taking a stand for his home country. At the same time the film sheds light on an important but hardly known episode of the Cold War and its consequences.